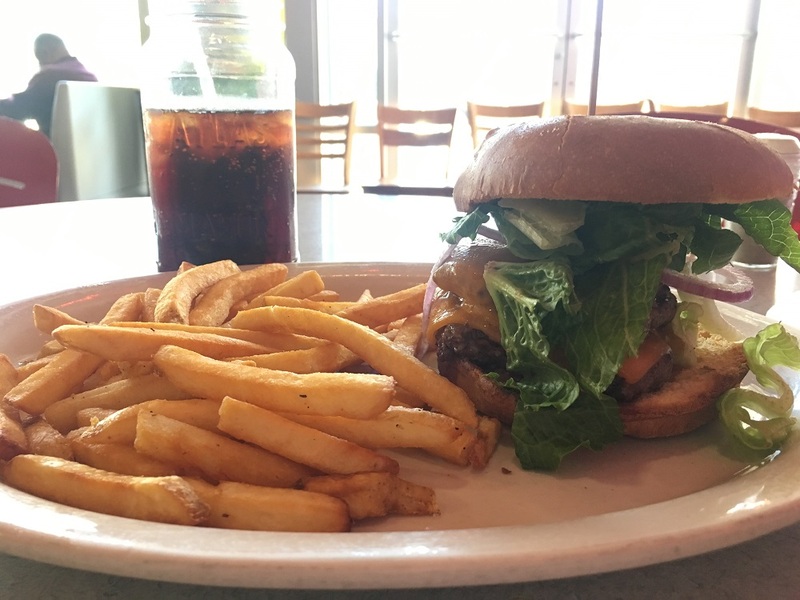 In the spirit of our holiday campaign to encourage the community to #DineSmall, this week’s Tasty Tuesday features The Remedy Diner. 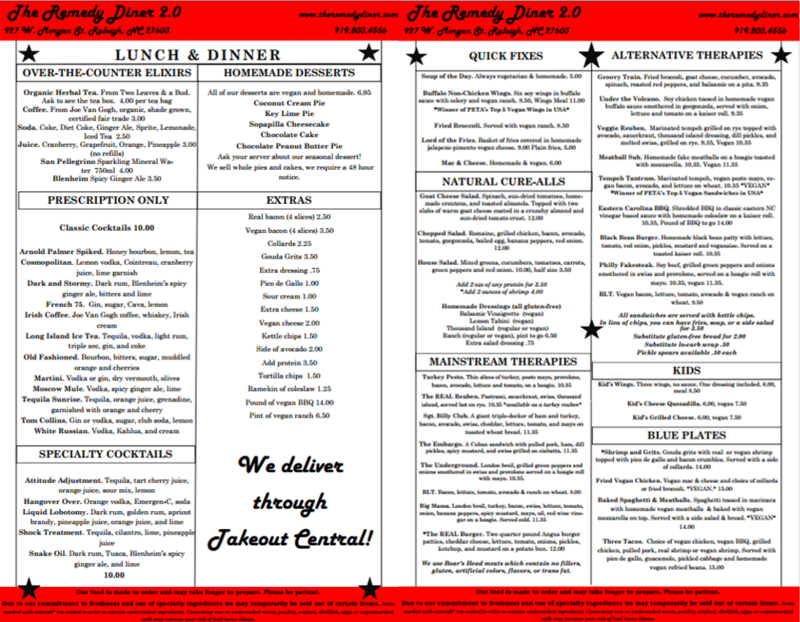 The Remedy Diner is a quaint, modern diner locally-owned by two sisters. It has been open for nine years, but just recently moved to it's new location at 927 West Morgan Street. 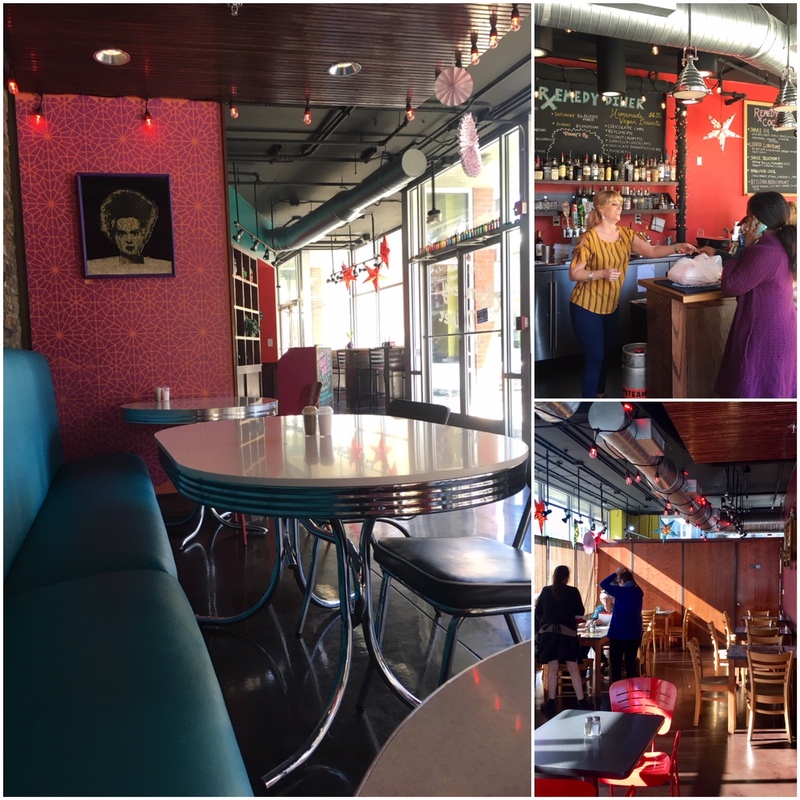 This new location features fun decor, comfortable seating, and a fully stocked bar. So what makes this diner so special? Well, these two sisters, one of them being a vegetarian, decided there were not enough vegetarian and vegan-friendly options in Raleigh and they decided to fix this. Currently, over half of their menu is vegetarian or vegan-friendly. Despite these amazing choices, the “REAL Burger” caught my eye. The "REAL Burger" consisted of two patties, cheese, lettuce, onions, and mayonnaise. I also chose to order fries as my side, instead of chips. This monstrous burger was incredibly delicious, once I figured out how to get my mouth around it! It was juicy and bursting with flavor. After reading about their homemade ranch, I had to try it. 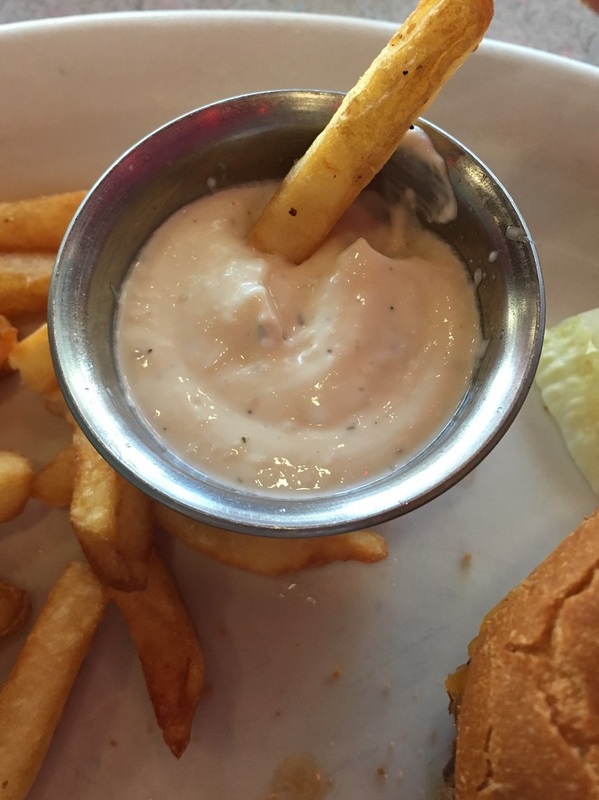 I requested a side to dip my fries in and I was not disappointed. Homemade ranch is already better than any store bought substitute, but The Remedy Diner’s homemade ranch (a vegan option is also available) was outstanding. Of course, I could not leave without trying dessert. 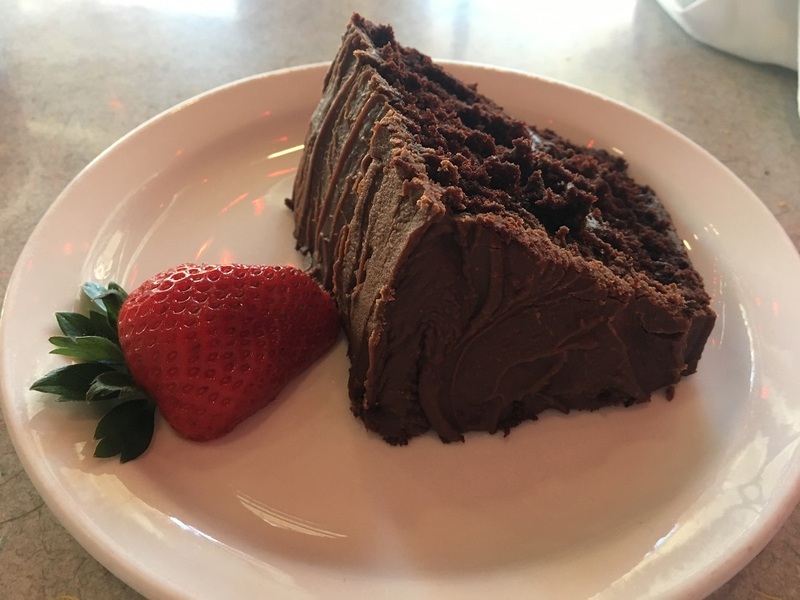 Of all of the choices, I chose the amazing chocolate cake. Biting into this cake was like biting into a slice of Heaven. It was the perfect amount of chocolatey deliciousness to end a meal. 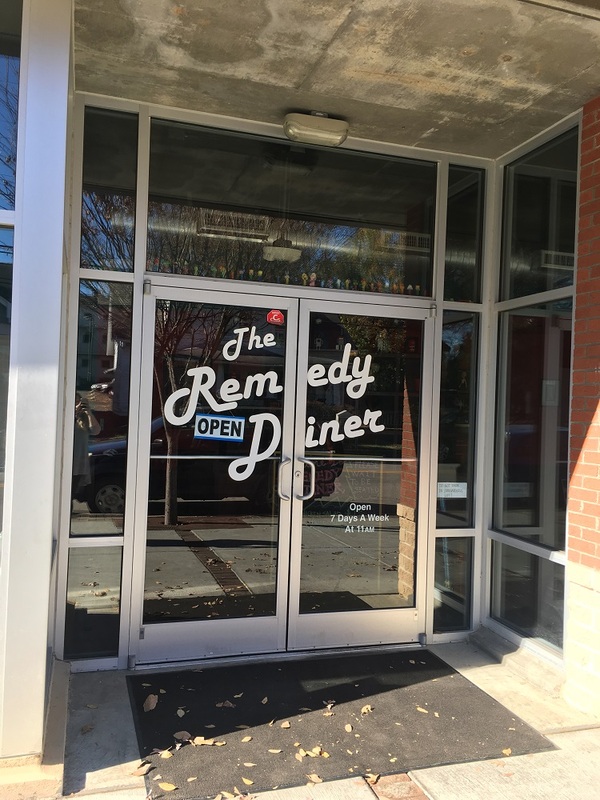 If you’re looking for a delicious, all inclusive meal, The Remedy Diner is the place for you. They are open everyday from 11:00 a.m. until 10:00 p.m.